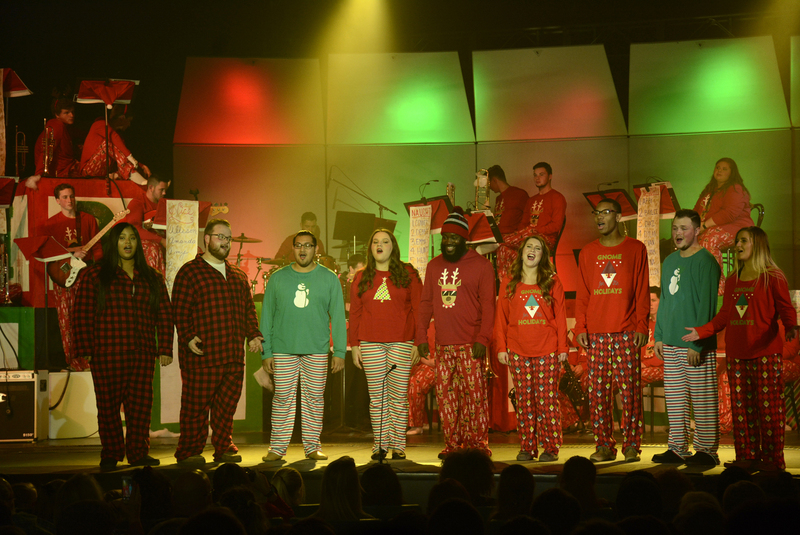 ELLISVILLE – The partnership between Jones College’s Fine Arts department and the Salvation Army has brought hundreds of toys to children and smiles from adults enjoying the last five Christmas benefit shows. 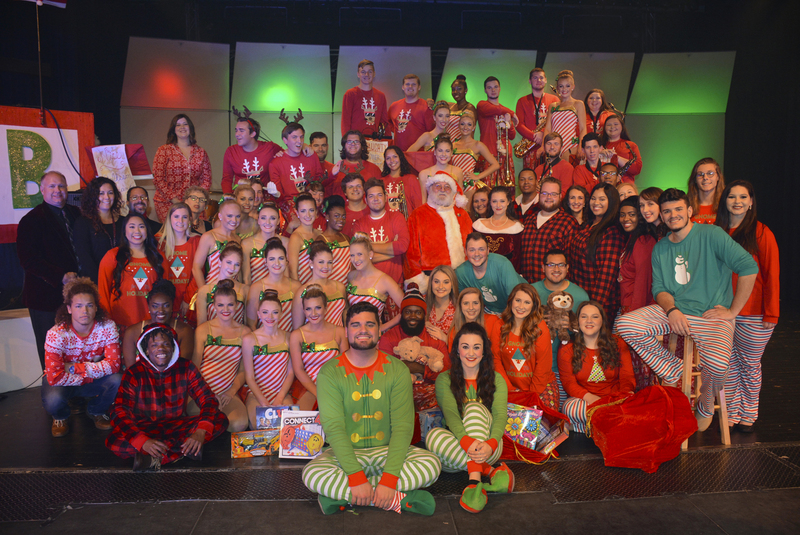 This year, the audience attending the Christmas Show, “Santa’s Swingin’ Pajama Party” was extremely gracious in giving unwrapped toy donations for the Salvation Army’s Angel Tree program in lieu of a ticket for the concert. After the show, Jones students helped the Salvation Army fill a dozen bags full of toys for children in the Pine Belt. “Giving has been up this year but it is always amazing to witness the outpouring of love from the community for these kids. With the booming economy, we have collected more gifts with about the same number of people requesting our assistance. 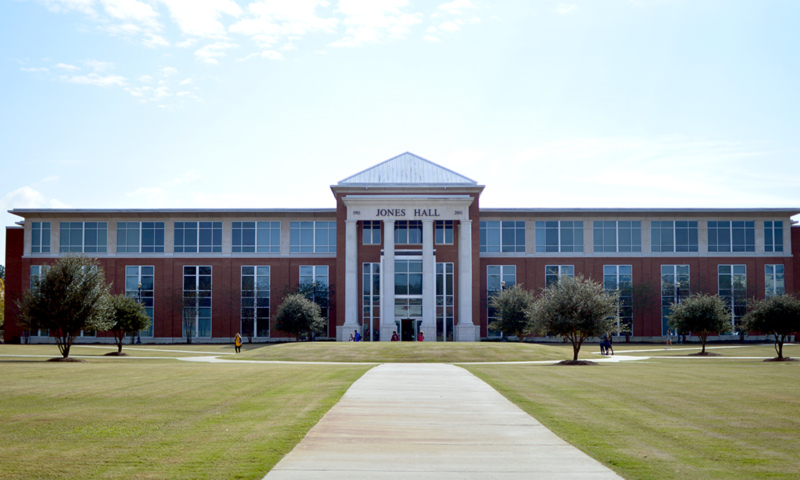 The donation of toys from the community and Jones College will help greatly,” said Laurel Salvation Army Major, Raymond Pruitt. 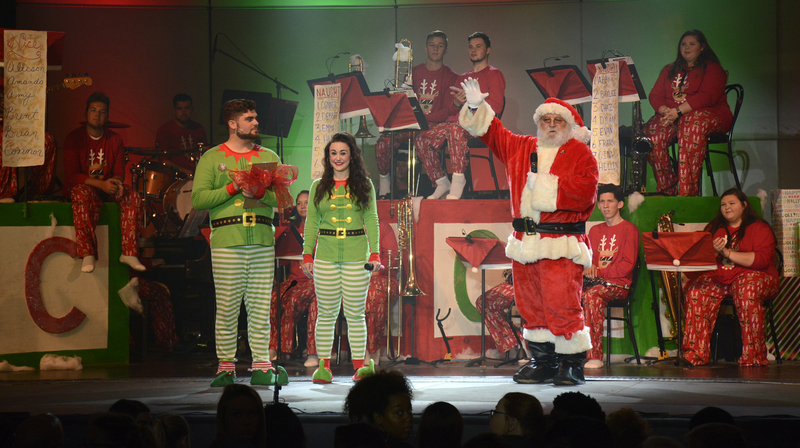 JCJC Fine Arts Division Chair, Mark Brown said he is happy about the big crowd attending the Christmas Show and donating presents. 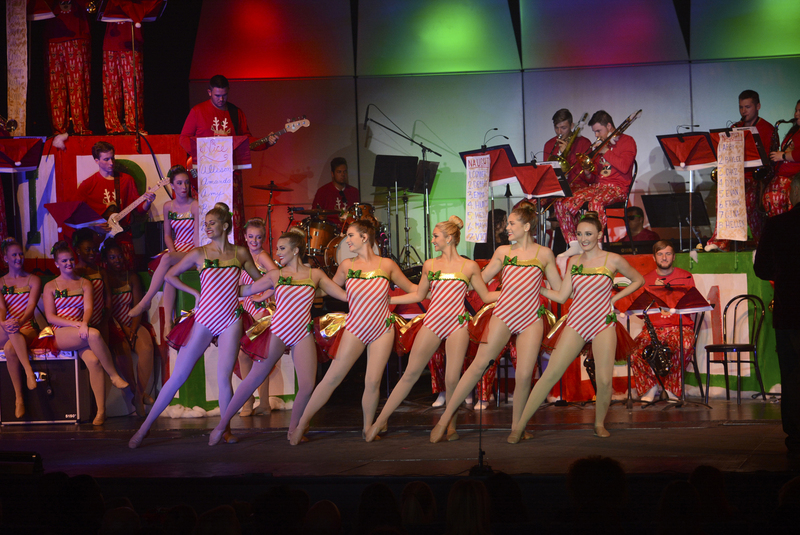 The music groups, JC Voices, JC Jazz, Bridge, along with the Touch of Gold Dance Team and theater students combined their talents to reward the crowd for their generosity with various traditional, new and jazzy Christmas songs and a show, directed by Bruce Smith. 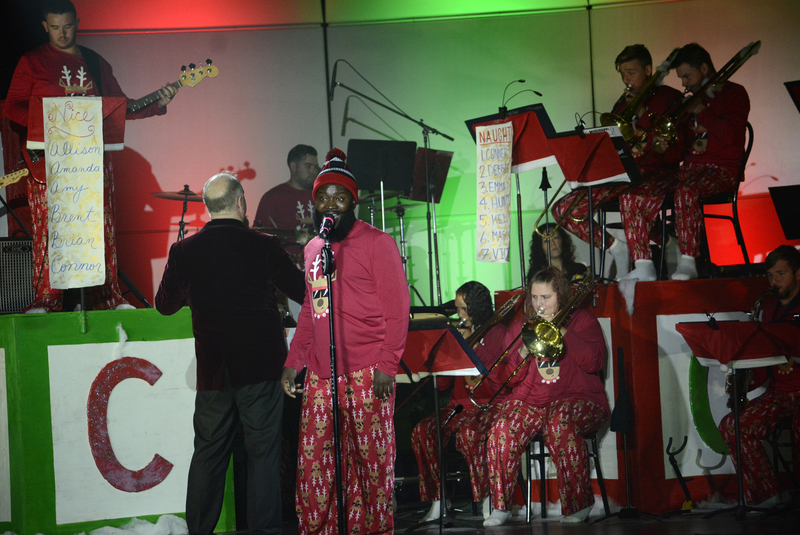 “‘Santa’s Swingin’ Pajama Party’ was a tremendous success and I would like to thank the community for giving so generously to The Salvation Army Angel Tree Campaign. 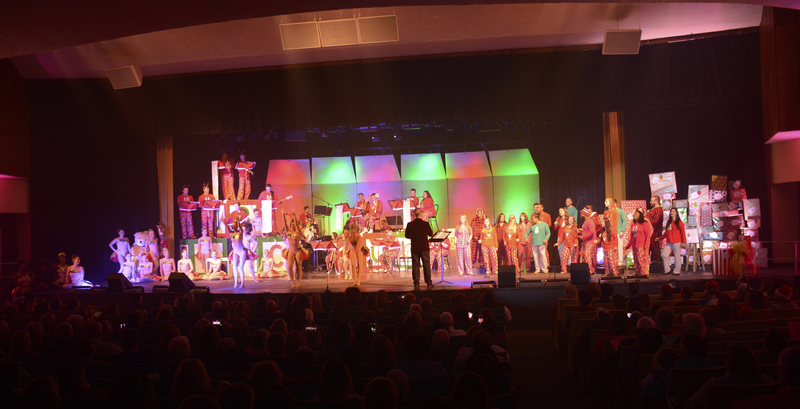 The students and faculty involved in the performance were pleased to have such a wonderful audience full of friends, young and old enjoying an entertaining show,” said Mark Brown. 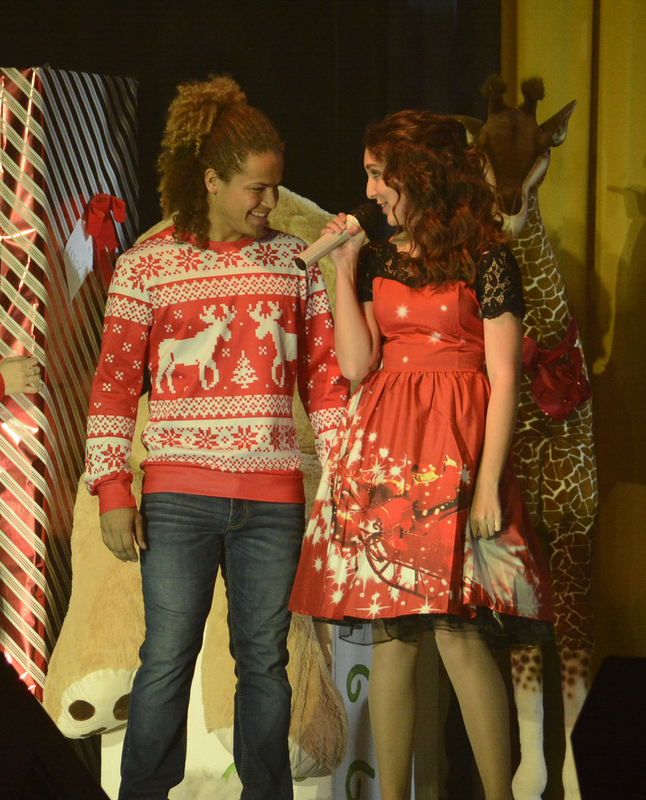 For more information about the Angel Tree program, contact the Salvation Army at 601-428-4232 or go to http://salvationarmyalm.org/angel-tree/ For more information about the JC Fine Arts programs call at 601-477-4203. Follow JC Fine Arts on Facebook and Twitter.